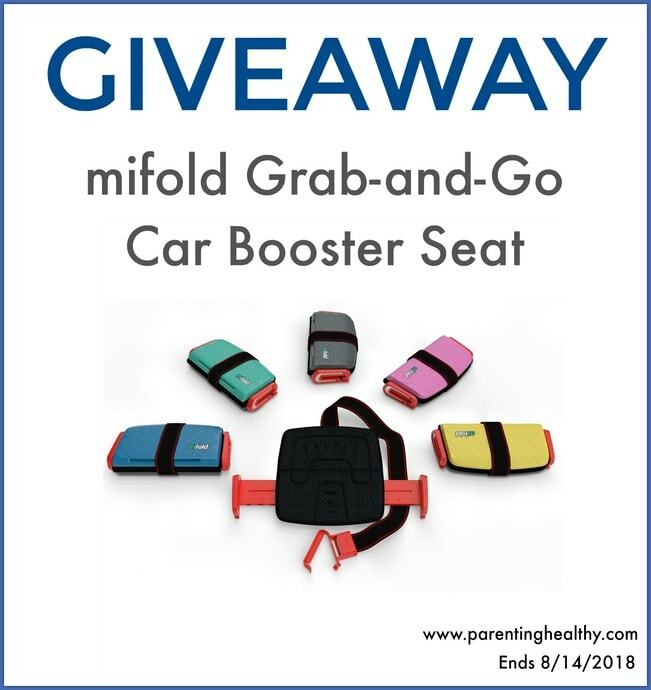 What is the mifold Grab-and-Go Car Booster Seat? The mifold car booster seat is the smallest, safe car booster seat that fits children 4-12 years old and is small enough to fit in your diaper bag, backpack or glove box. It makes fitting 3 safe seats in a row much easier and comes in multiple colors. Have you heard that mifold has a new product called the hifold Grab-and-Go Highback Car Booster? It also folds down small enough to fit in a carry bag. It is just as safe and the height, lap, shoulder width and head rest can easily be adjusted as your child grows. Want to save on the new hifold Grab-and-Go Highback Car Booster? HURRY! 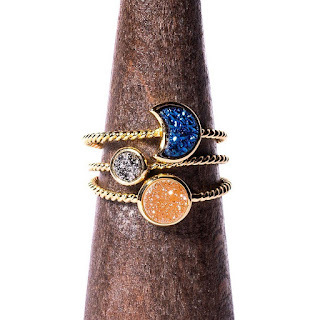 You get to use my promo code: to save over 44% on the new hifold. VISIT HERE HERE TO SAVE! 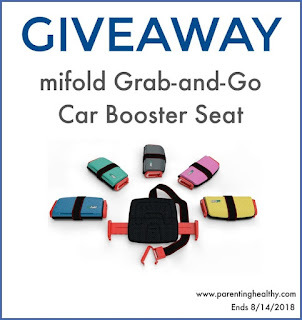 1 lucky reader will win a mifold Grab-and-Go Car Booster Seat in the color of your choice. Enter below. Open until 8/14/2018 and US only. Good luck!